The latest promotional video for the upcoming release of the S.H. 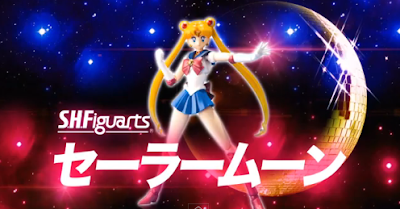 Figuarts Sailormoon includes the character's original anime voice actor Kotono Mitsuishi. This is to mark the franchise's 20th anniversary. The figure is about 140mm tall and is inclusive with three interchangeable parts for different facial expressions, three interchangeable left hands, five interchangeable right hands, her cat Luna, two Moon Sticks, and parts for recreating the Moon Tiara Action effect. Set to release this August, the S.H. Figuarts Sailormoon costs 4410 yen.